This is my personal web page describing my activities as associate professor at the Plant Genome and Development Laboratory (LGDP), Univ. Perpignan Via Domitia (UPVD). I worked on topological characterization of chaotic attractors (see Chaos and Chaotic Attractors) and on mobility models for swarms of UAVs (see Chaotic Mobility Models). I am now working on the dynamics of transposable elements in genomes of plants. Period-1 and period-2 orbits in the phase space (left) and in a template (right). 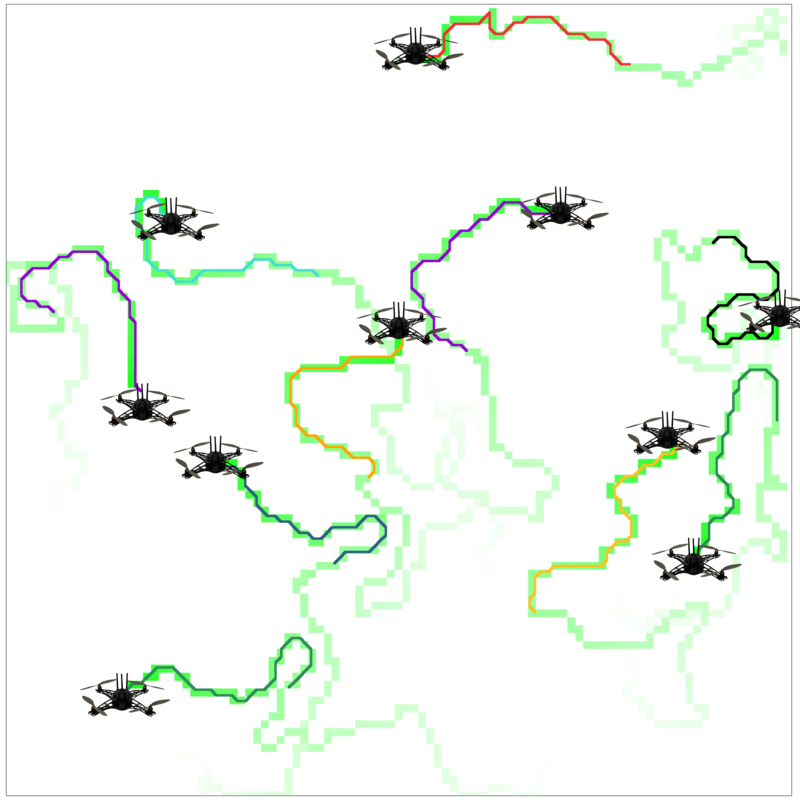 Swarm of 10 UAVs using CACOC mobility model; green pheromones disappear over time. © Copyright 2016-2018, Martin ROSALIE. Last updated on Sep 11, 2018.